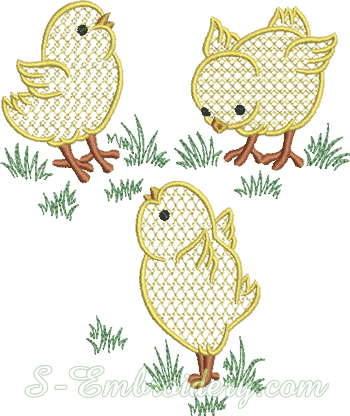 A set of 3 chicks classic machine embroidery designs. All designs will fit in 4x4 (100x100) hoops. You receive 3 machine embroidery files and a PDF file with design information and color charts.